No longer reserved for gamers and large corporations, VR technology is becoming more and more accessible for even the smallest of businesses. As a small business owner, you are always looking for fresh ways to enhance your processes, and VR technology is poised to do just that. 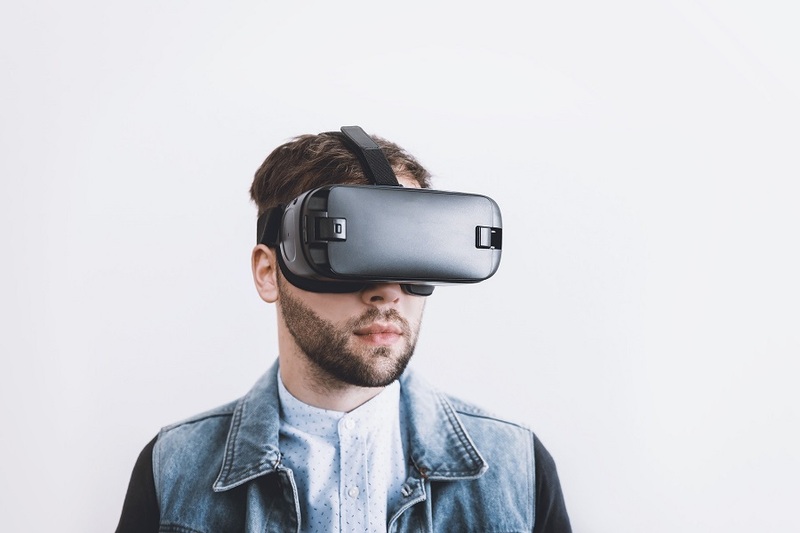 From the creation of products to the analyzation of data and connecting with your customers, VR technology is making waves in the business world. If you are interested in learning how you can use it, read on for three benefits of introducing VR technology to your small business. 1. VR assists you in creating products and experiences that work. Gone are the days when designers and creators needed to spend extensive time and resources creating mock-ups of projects. Whether you are looking to show a new product, service, or environment to the rest of your team, potential customers, or investors, VR technology can make the process a whole lot easier and more efficient than having to build something out in a physical environment. One of the significant benefits of using VR during the building process is that you can quickly obtain acumens into what is possible and what isn’t. For example, architects were quick to jump on the VR bandwagon as they can thoroughly show their designs without having to build a physical model. Goodbye, costly full-scale prototypes! Even if you aren’t creating a building, VR technology can still help you create better products as you can present it through VR for user review before physically building it. Use this feedback to ensure you are designing the best product imaginable. 2. VR takes data analyzation to a whole new level. Due to the rapid expansion of e-commerce, there has never been more data readily available for companies than there is now. From click-through and conversion rates to consumer profiles, these metrics are well-used by businesses that want to understand their consumers better and increase their sales. The next step is using VR tools, as they are already making obtaining more precise data increasingly accessible. The more sophisticated VR technology becomes, the more benefits the firms that opt to utilize it are going to derive from the increased ability to receive updates on performance and consumer behaviors. Immersive data visualization supports intuitive data comprehension and smoother pattern observation even when it comes to gigantic data sets. Creating artificial environments enables you to analyze customer behavior down to eye-movements and body language. These are just two examples of the (seemingly) unlimited power of VR technology to take data analyzation to the next level. 3. VR can help to increase customer engagement. No matter what industry you are operating in, there is a good chance that “engagement” is a word you hear repeatedly. Or, more specifically, “boosting engagement,” as there is no denying that relationship building is critical for all brands and businesses in this day and age. That being said, it can be a significant challenge for companies to think of new and innovative ways to reach out and form communities with both current and potential consumers. This is where VR can be a significant benefit as it is still fresh and novel and can be a meaningful boost for those looking to create a broad and profitable collaborative community of engaged individuals. For example, one of the ways to do this is by allowing consumers to experience the back story and manufacturing process undergone by a product or service through a VR display. This is a surefire way of transforming entirely how the buyer understands your brand. By utilizing VR, you are providing your company with the ability to interact with your consumers differently and inspire a feeling of reciprocal loyalty. VR enables firms to improve their products and services in a way that will reach a broader audience. Have you considered introducing VR technology into your small business? If so, how are you thinking of doing it? If not, what is holding you back? Let us know your thoughts, concerns, and ideas regarding this topic in the comments below! What are The Main Features of Best-Dedicated Reseller Hosting Which Can Help to Grow the Online Business?